The Bahamas are known for postcard perfect, soft-sand beaches and shimmering aqua waters. 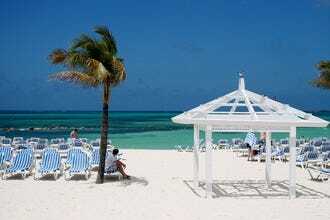 Nassau, the "main hub" of the islands has a large selection of hotels and resorts that put guests right on the sand. Wake up in the morning and step out barefoot onto a beautiful white sand beach, soak up some rays, take a dip in the ocean, and watch the sun slip away from a private balcony with a range of budget to luxury properties. 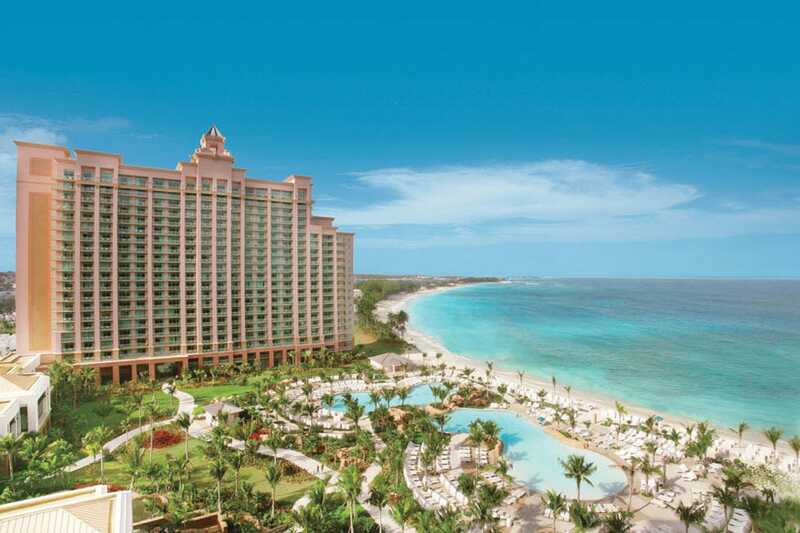 The sprawling new Baha Mar resort complex, opening in 2015, will offer some competition to the Nassau icon, Atlantis, and include a similar "mini city" model with casinos, several hotels within the property, restaurants, and shops. The household name, Sandals, has a private island for guests to explore, and luxury brand, One & Only has a beachfront property that grants guests access to sister hotel, Atlantis. There are also a number of independent hotels that offer everything from vacation villas to "glamping" style accommodations with special yoga instruction. Paradise Island Beach Club and Sandyport Beaches Resort are two alternatives to the mega hotels without sacrficing a location near all the action. With onsite restaurants, bars, pools, and plenty of beach, they have the total package for relaxation. The editors at 10Best have sifted through the options in Nassau and present their 10 favorite beach resorts. The long-awaited unfolding of Cable Beach's renaissance Baha Mar started in April 2017 with the opening of this 1,800-room property that bookends the new casino with twin towers. The casino â" the Caribbean's largest â" is the centerpiece of the Grand Hyatt's lobby level. It promises to become the nucleus of Nassau nightlife as it evolves. Already, high-end restaurants and distinct, exciting bars and lounges surround the games, along with luxury duty-free stores. What's outside, however, rivals the excitement. Casual eateries weave into the pool scene. So far, six different water features range from a swim-up bar to a cliff-diving pool inspired by the Bahamas' blue holes. They almost steal the show from the powdery beach and its plethora of complimentary water sports. On the 18-hole golf course, staff can customize to change repeat players' experience. Retail shops include a groundbreaking in-residence Bahamian artist experience. 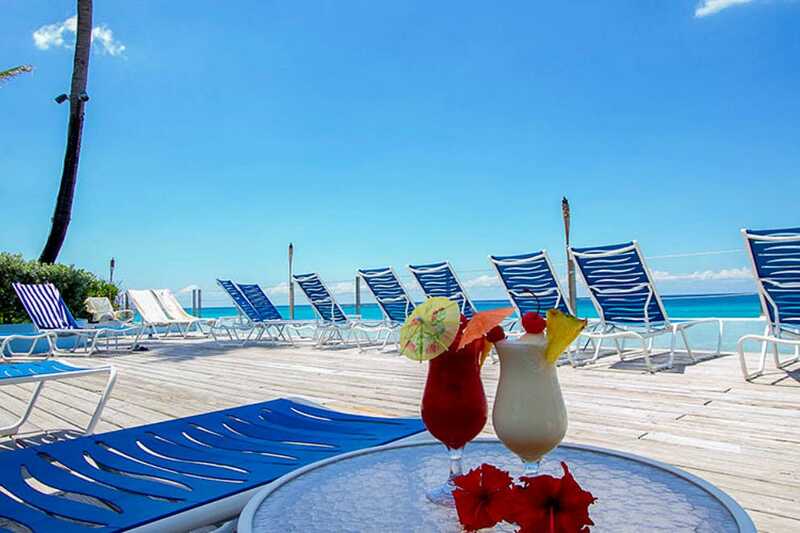 Located on Paradise Island, home to some of the best beaches in Nassau, Paradise Island Beach Club is a collection of luxurious tropical villas with a pristine setting. Two bedroom accommodations have 980 square feet of space, private patios with water views, full kitchens, and two baths. Saturday afternoon is the "Chill and Grill" barbecue with poolside music, or guests can take lunch or dinner at the Reef Grill, which serves classic Bahamian fare, macaroni, and potato salad. The resort also features two heated pools, a swim-up bar, and watersports. Don't miss Wednesday night parties with live music and Junkanoo dancing. 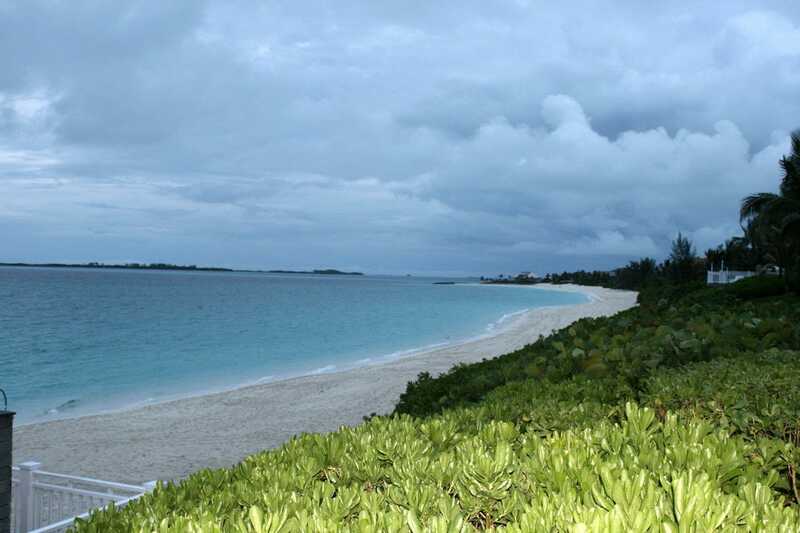 This quiet beachfront property is independently owned, and consists of one, to five bedroom villas with plenty of space. Villas include full kitchens, access to private pool, children's pool and waterfall, and air conditioning. Oceanfront properties are also available, with outstanding views of the crystal-clear water and the five-bedroom villas feature an impressive 4,000-square feet of space. Viola's, the newly-remodeled, on-site restaurant serves breakfast, lunch, dinner, and drinks and also has television and dart boards. There's also live music, happy hour specials, and karaoke. On-the-beach massages take relaxing to a new level, and Archie's on the Beach Bar serves up tropical cocktails. Formerly a Sheraton resort, it underwent extensive renovation a couple of years ago but is now open and a good choice for families right on the beach. 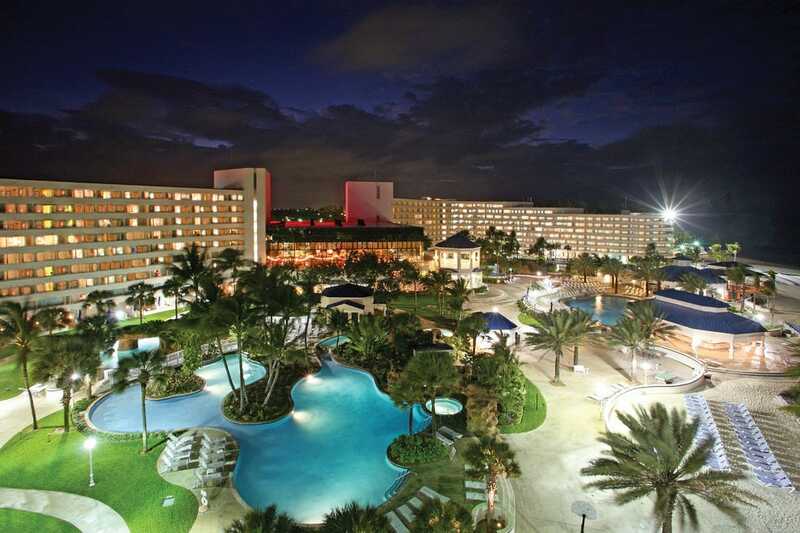 The resort offers its own lovely pool area with rock waterfalls and a beach bar and grill, and is part of the massive Baha Mar complex that is slated to debut summer 2015. Six specialty dining options include standouts like the Market Place in the lobby, with an international buffet and outdoor seating; and Aqua, serving dinner fine Italian style. A kids program, 24-hour gym, and hydromassage tub set in the gardens round out the amenity list. Arguably the classiest resort in the Bahamas, the One & Only Ocean Club enjoys a gorgeous residential-style setting overlooking the beach and brimming with meticulously maintained gardens. Some of the villas and cottages are privately owned by celebrities. In addition to the larger separate residences, there are rooms and suites in the main building and newer Crescent Wing, all with a private balcony, hardwood floors, fresh flowers and elegant furnishings, plus satellite TV, DVD and CD players, mini-bar and other top-notch amenities. The units overlook the ocean or the resort's 18-hole golf course. The sprawling grounds encompass an adults-only pool, a family pool with a waterfall and toys, tennis courts, a full service spa and upscale dining options. As a unique combination of of traditional ashram and a modern yoga retreat, this resort is also a spiritual community and study center. Accommodations fit all types of budgets, with everything from tent camping, "glamping" and dormitories, to shared beach huts, standard rooms and luxury suites with garden or beach views. Two healthy, wholesome meals are served daily and vegan and vegetarian options are available. There's also a health bar with juices, snacks, paninis, and smoothies. Massages can be booked at the wellness center. 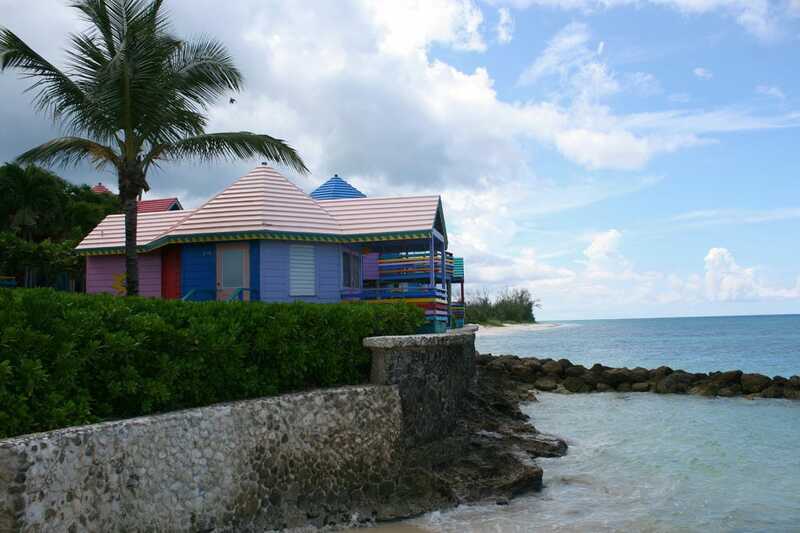 The beachfront retreat is located a five-minute boat ride away from the restaurants, shops, and attractions of Nassau. Like a popsicle factory explosion, the bright colors and Bahamian-shack-inspired cottages are a trademark for this exclusive resort away from the tourism scene of Nassau. Its 18 one- and two-story cottages come conveniently equipped with a refrigerator, coffeemaker, microwave, toaster oven, stereo, DVD player, iPod docking and sundecks overlooking the water â" which takes on nearly as as many shades, but more subtle. Built by reggae music mogul Chris Blackwell, Compass Point manages sophistication and barefoot abandon in one sweep of way-white sands at Love Beach. 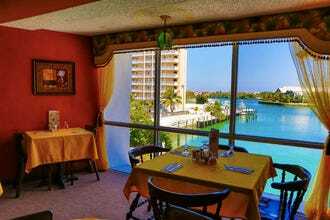 The resort's popular restaurant overlooks the pool and beach, plus meal delivery service is available to the rooms and the resort's spa. Sandyport is just far enough away from the main hub that visitors can enjoy peace and quiet, but close enough that they can reach all the action in a few minutes. 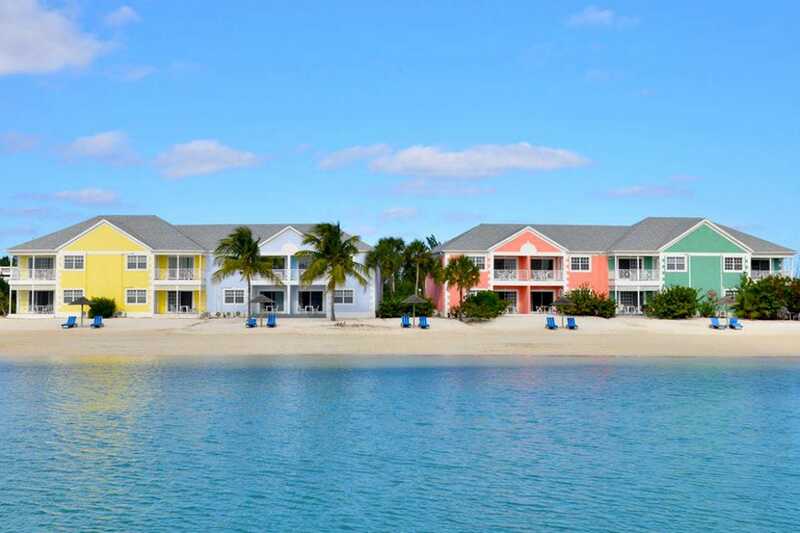 Located west of Cable Beach, this resort is a collection of colorful villas situated on the beach or canal. Guests can choose from traditional hotel rooms or suites equipped with full kitchens and living areas. An on-site waterfront restaurant and bar serves up Bahamian specialties like cracked conch, stew fish, red snapper, grouper, sweet Johnny cakes and Bahama Mama cocktails. Fishing trips, culinary tours, and visits to the rum distillery can all be arranged from the hotel. A luxury family resort, the Reef Atlantis has a range of accommodations to choose from, including studios that are complete with kitchen and living areas or suites and penthouses with jaw-dropping views from private terraces. There are 18 water slides, lazy river rides, lagoons full of tropical fish, three white sand beaches and several pools to lounge next to. There's also a movie theater, casino, and shuttle between the towers of the massive Atlantis property, a world-famous resort. The Reef is a destination in itself, with 12 different restaurants that cater to children, and more than 14 bars and lounges for adults to enjoy. 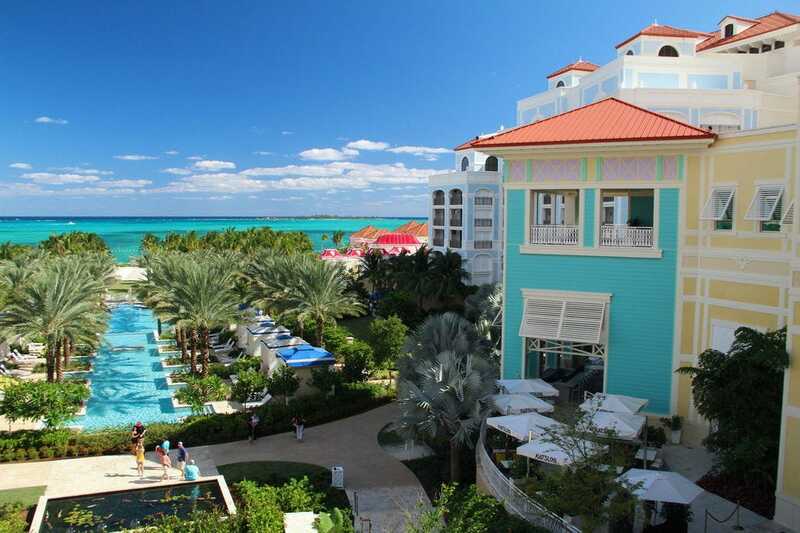 Sandals Royal Bahamian is all about couples. 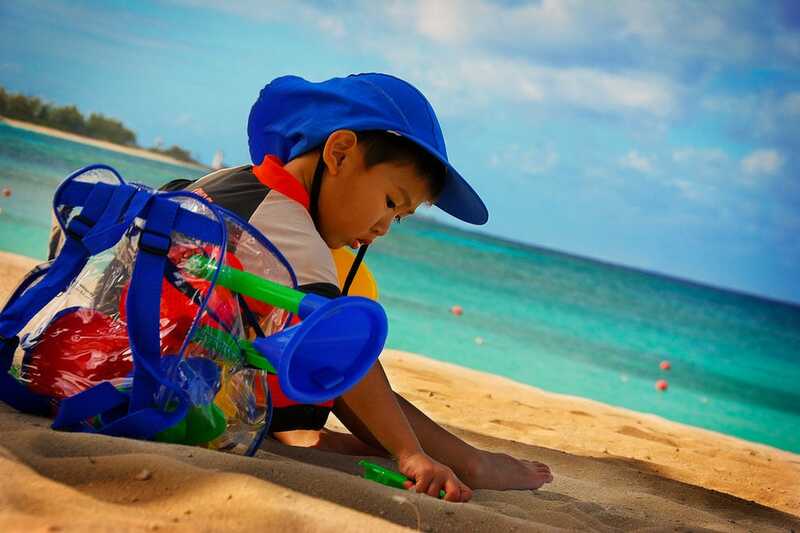 As a child-free zone, it recommends families with children stay at sister property Breezes Bahamas. From tables for two at 10 specialty restaurants to king size four-poster beds in all the rooms, the property is devoted to romance. Guests staying in suites or private villas get picked up at the airport in a chauffeured Mercedes or Rolls Royce and greeted on property by their personal butler. Attractions also include a signature pool with swim-up bar and a luxurious spa. Sports and activities are part of the inclusive price tag â" even the scuba diving program. 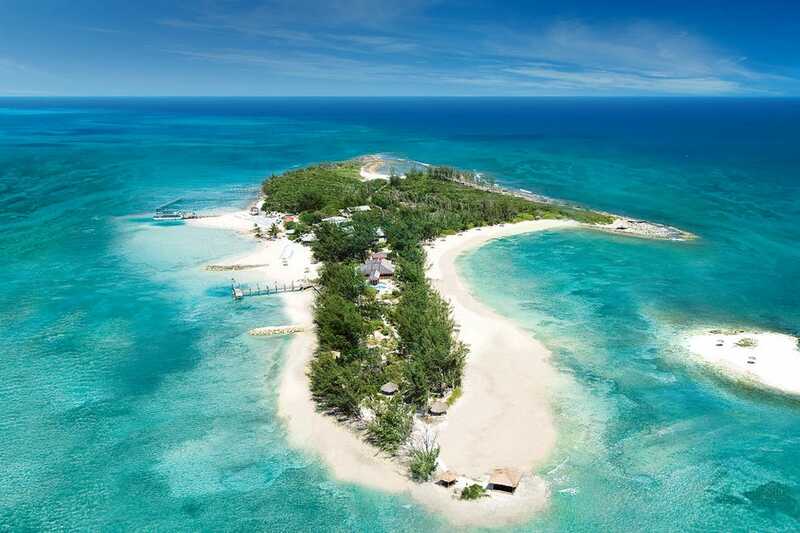 A private island awaits guests with two private, practically deserted beaches and more dining options.